Greetings friends and fellow crafters, LeeAnn here with a project for the Scrapping For Less Blog. 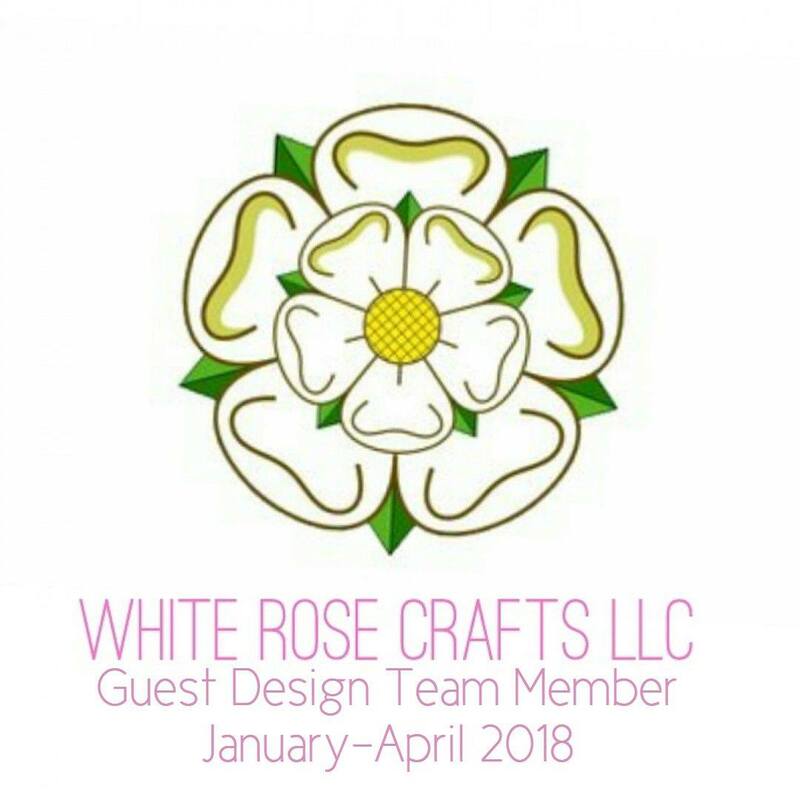 Greetings friends and fellow crafters, LeeAnn here with an inspirational project for you. 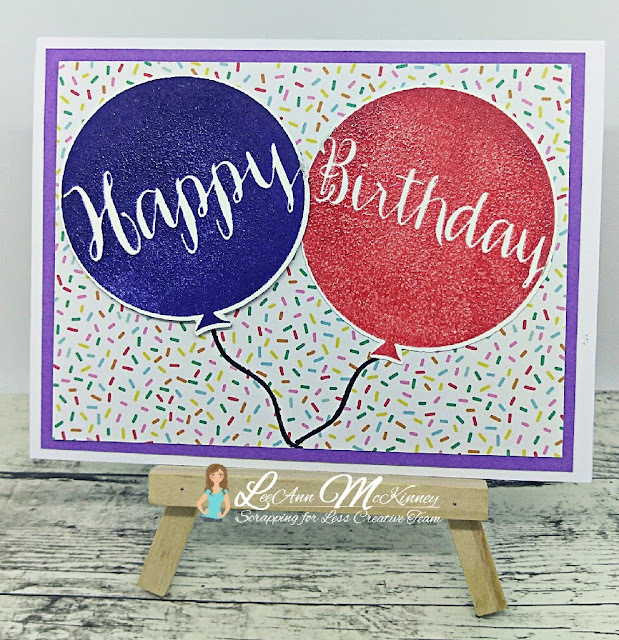 I am using Balloons by Avery Elle for this project and I really like the way they stamp. 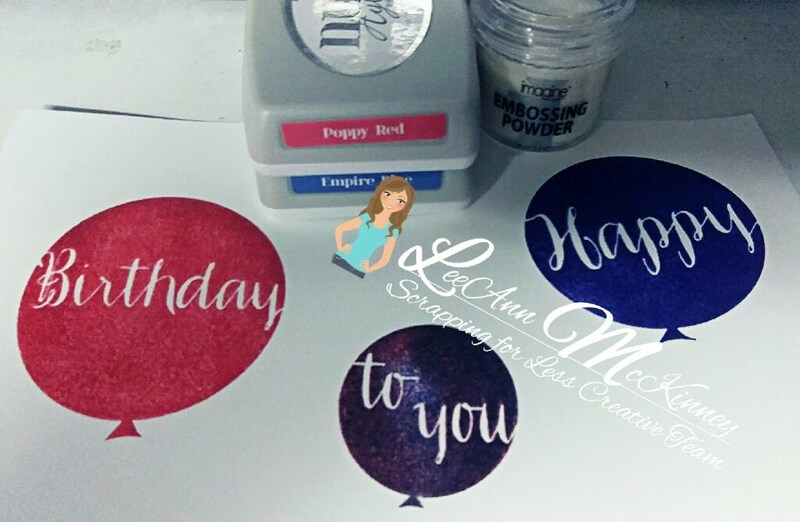 Using Nuvo inks in Poppy Red and Empire Blue I stamped the Happy And Birthday balloons, I also used Imagine Clear embossing powder to heat emboss these to add texture. The card base is Neenah 110 lb cardstock, with MFT Grape Jelly as the purple layer and confetti page from the Pebbles “Happy Hooray” 6×6 paper pack which was part of the March 2018 Flavor of the Month Kit. 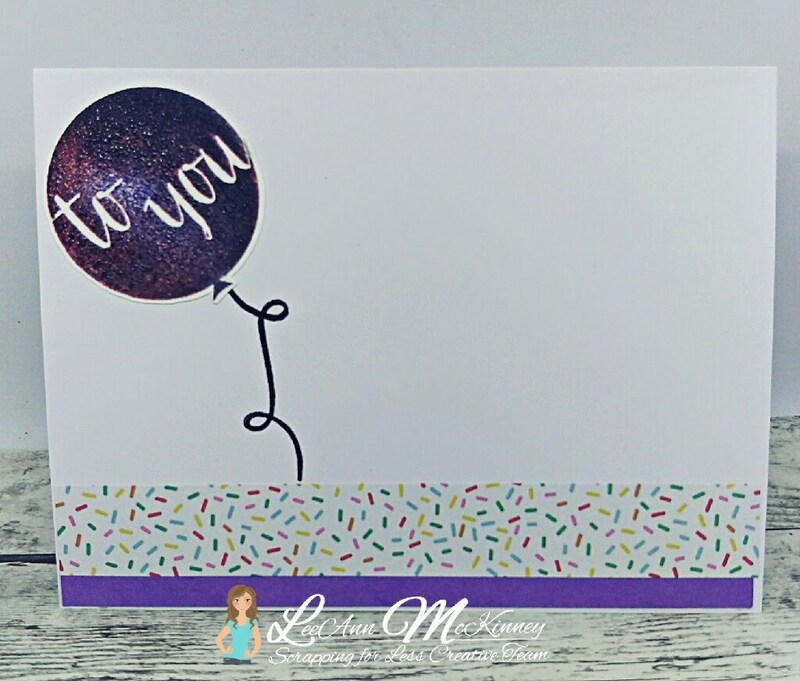 I used the same papers for the inside of my card, and for the to you balloon I combined both colors of Poppy Red and Empire Blue to make a pretty purple color. The balloon strings I stamped using Versafine Onyx Black ink cube.